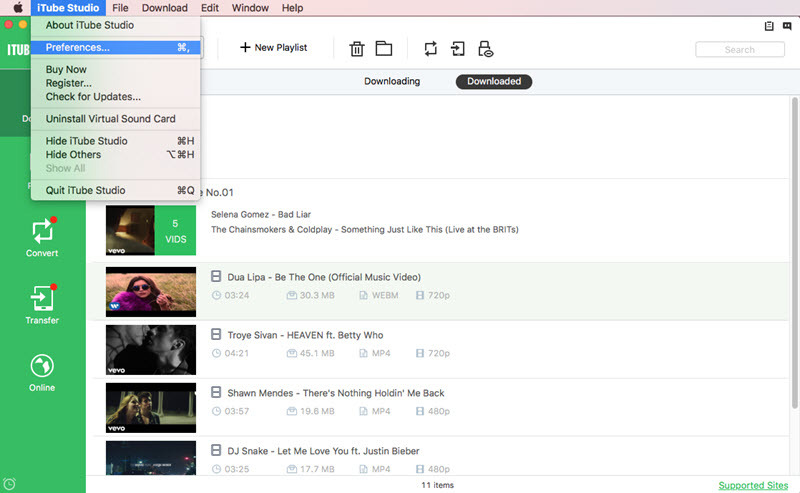 iTube Studio for Mac helps you to download HD videos from YouTube and other sites. There are multiple video resolution options for you to choose, including 2160P, 1440P, 1080P, etc. Click the "iTube Studio" and open the "Preferences" windows to set the download video resolutions. In the pop-up "Preferences" window, click the “Download” tab and you will see “Desired YouTube video quality”. Now click the arrow to show the video resolution list. You can set the video download in 2160P, 1440P, 1080P, 720P, 480P, 360P, and 240P.